When you’ve got kids and are planning a big vacation, you’re going to want to see some of the animals and characters that they know from movies, games, and books. Children love the cartoon and fictional characters they come to know as they learn how to read and use a computer. It’s a great experience to let them meet these characters up close! Lots of theme parks across the country have a great selection of animals and characters that you can see up close and in person. Here’s a look at some of the animals and characters you will find at Universal Studios Hollywood™. Universal’s Animal Actors at Universal Studios Hollywood™ is a wonderful 20-minute show where animals do all sorts of amazing tricks. The first thing you should know is that these aren’t just your garden-variety zoo animals. All these animals have starred in movies! That’s right, these animals are veterans of such films as Evan Almighty and Night at the Museum. Dogs, birds, giant iguanas—they all love doing their tricks in front of a live audience. As for movie characters, the question is where to start. 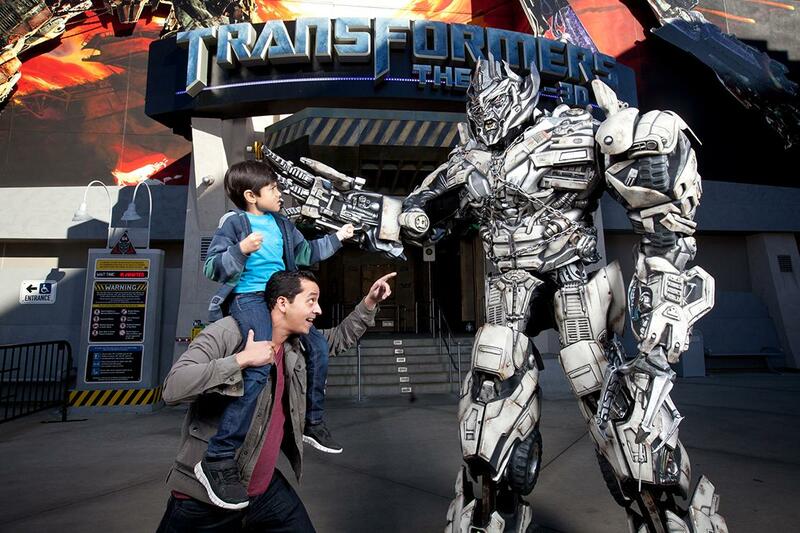 The options offered at Universal Studios Hollywood™ will truly astound you. For starters, there’s the Wizarding World of Harry Potter™. That means you might get the chance to meet Harry Potter, of course, but also his friends like Hermione Granger and Ronald Weasley. The Minions of Despicable Me also live at Universal Studios Hollywood™, and you can see them in lots of places there, from their own thrill ride to pop-ups throughout the park. There’s also the Simpsons, SpongeBob Square Pants, Optimus Prime, and Shrek. Let’s say the number of characters is insane! Keep in mind that no characters are guaranteed to perform or appear at Universal Studios Hollywood™. It’s best to ask a park employee the times and locations within the park that you’ll have the best chance to see the characters that your kids have their hearts set on. When you don’t know where to look for Universal Studios Hollywood™ tickets, it can be difficult finding an affordable deal for you and your family. The nationally known, name-brand travel sites don’t always have the best prices and deals. It’s possible to get great deals from online travel companies that specialize in combination ticket packages. They can put together a package that includes tickets to more than one theme park along with lodging and meals. Plus, they can do it in your price range. After your first experience with the animals and characters you will find at Universal Studios Hollywood™, you’ll be certain it’s one of the best trips imaginable.